Because you want experienced roofers. Because you deserve honest and transparent service. Because you need a smooth efficient installation. Because you care about after sales service. Whether you’re looking for a new roof for your existing residential or commercial property or you need help with your new build development, Alltek Roofing have the answer. With over 15 years’ experience as roofing contractors in Canberra, we have the skills, the experience and the manpower to tackle any roofing project, no matter how big or small. From roofing repairs to installing a new roof, Alltek are the Canberra roofing company you can trust to get the job right first time. Our expertise and experience in the roofing industry means that we’ve the capability and the know-how to tackle a whole range of roofing tasks, including metal roofing and metal wall cladding, together with roof repairs and maintenance for domestic, industrial and commercial properties. Our fully qualified roofing contractors are also able to provide roofing assessments and reports together with advice on your existing roof. Whether you’re a domestic or commercial customer, if you need a new roof, Canberra based Alltek Roofing should be your first port of call. We not only offer reliable and high quality roof repairs together with fast and efficient new roof installations, but we really care about the quality of our craftsmanship. Our team of highly-trained tradesman are backed up by a dedicated admin team, so you can be sure that you’ll not only get a top quality roof, but you’ll get a superior level of customer service too. It’s no wonder that we’re the roof builders Canberra residents, builders and businesses trust. 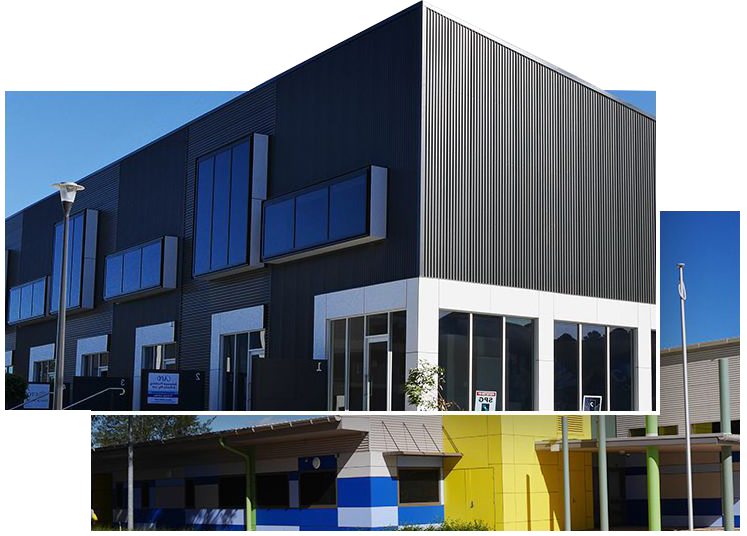 Over the years, Alltek Roofing Canberra has built up a professional and highly trained team of roofers that can handle any size of domestic, industrial or commercial project, whether large or small. Whether you need a roofer in Canberra for your domestic residence, office building, factory, aged care facility, school, hospital or any other commercial or industrial building, we have the team to handle it. And, with our reputation for quality, we’ve secured some of the largest and most prestigious roofing projects in Canberra, including Garran Medical Centre, Taylor Primary School, Canberra Performing Arts Centre and many, many more. As you can see, we really are the kind of roofing company Canberra needs to ensure that they’re getting top-quality roofing that will last for decades. If you would like a quote for any of our roofing services, from roof assessments and reports through to roof repairs and brand new roof installations, get in touch with the team here at Alltek Roofing. You can call 02 6128 0700 or connect with one of our estimators or tradesmen through our website. Alltek has provided service to an excellent standard, with great follow up. I find that Alltek roofing always provide a professional service, are extremely conversant with Defence protocol and working on sensitive sites. Alltek's prices are always fair and reasonable and they are able to think outside the square in that they have an innovative workforce. Alltek have resolved many long standing roofing leaks and associated problems at schools where other companies have tried and failed to identify the problems and solution. Alltek have also successfully performed new roofing work for this CEO as a sub-contractor to builders on major new works and refurbishments. Alltek Roofing recently undertook the roofing of townhouses we are currently building. We were impressed with Alltek’s communication during all our dealings with them. They kept me informed of any developments on the job. They delivered the work on schedule, always turned up when they said they would and were happy to work in with other subcontractors on site. Alltek’s service has been very good – they always responded to calls and emails, were timely in delivering a quote and any issues were resolved immediately. The staff on site were always friendly and happy to work in with other subcontractors. We look forward to working with them again.